Great news for all FTO traders! FuturoCoin hit next cryptocurrency exchange. 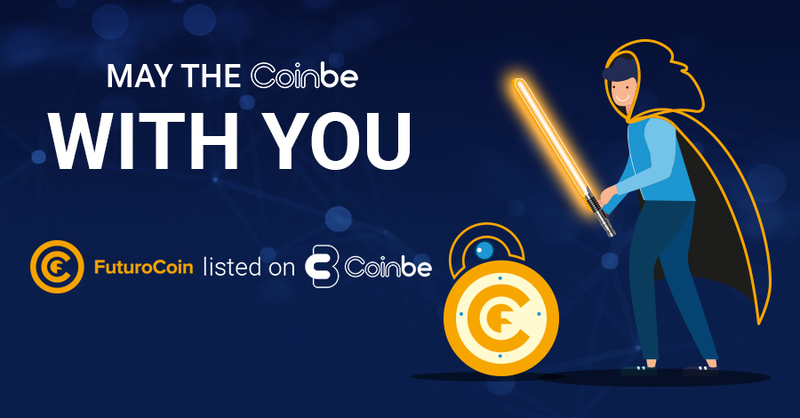 CoinBe is now the 5th place where FTO can be traded. Read the article and meet this exchange closer. Last Friday, CoinBe.net announced, that FTO has joined to their cryptocurrency portfolio. This service is viral exchange which (for this moment) is placed at the 57th position on Coinmarketcap. It offers their users a lot of useful tools and a user-friendly interface. The exchange operates on BTC, ETH and more than 40 altcoins as well as FIAT currencies like US Dollars (USD) Euro (EUR) or Polish Złoty (PLN). Instant cash transfers and deposits. Special referral program which allows making more profits. Breaking news! FTO is coming to Exrates.me!! !